-Put 1 tablespoon of oil into the frying pan. Add Thai red curry paste and 1/2 teaspoon of sugar, then gently fry for approx 5 minutes. Set aside. -Put the rest of sugar into the breadcrumbs bowl, mix well. Set aside. -Gently dry the tofu block with the kitchen paper as much as you can. 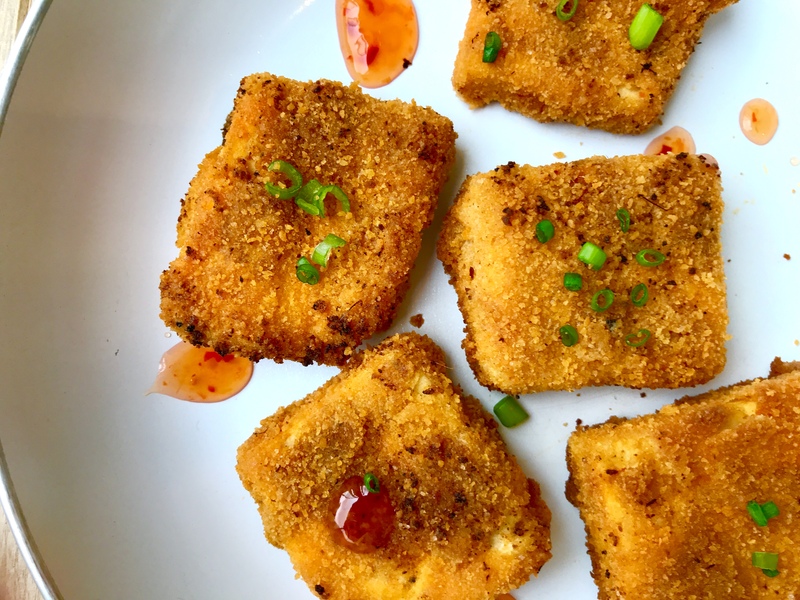 -Cut the tofu in bite-size squares. Then season with salt and pepper. -Pour the cooked curry paste on the seasoned tofu. Make sure the paste covers the tofu well. -One by one, dunk the tofu square in the flour then egg and lastly.. breadcrumbs mixture. Keep repeat this process to all the tofu squares. -Put 2 tablespoons of the oil into the frying pan. Fry the tofu nugget until it turns lightly golden on each side. -Transfer the tofu nuggets onto the baking tray. Bake approx 6-8 minutes. 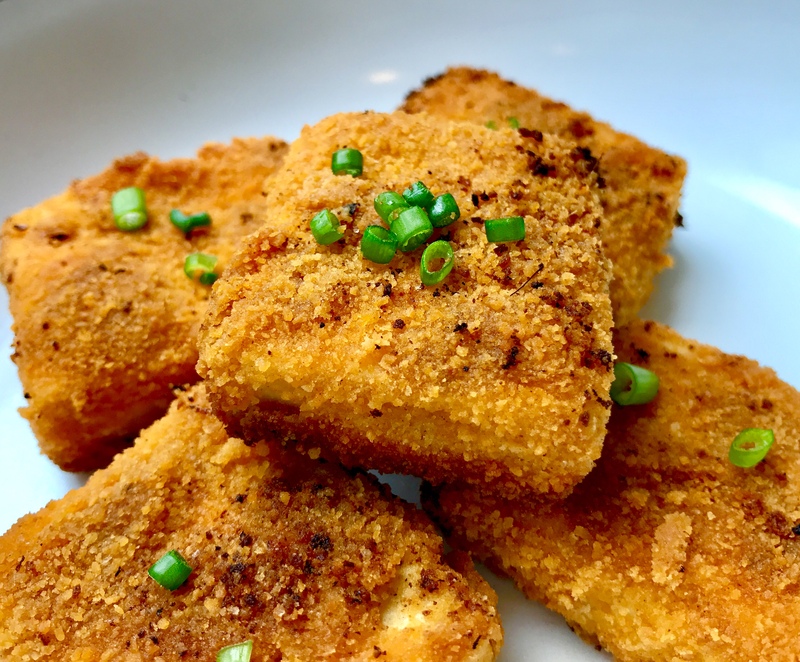 -Take the tofu nuggets out of the oven and serve immediately. I love these tofu nuggets with sweet chilli sauce, mayonnaise and fresh leafy salad. it is also lovely in a burger bun. -Make sure you get the extra firm tofu as it will maintain the shape a little better. -Some Thai curry paste contains shrimp paste. Please check the ingredients on the package if you are Vegans. -Tofu nuggets are also lovely as toppings on noodle soup or serve with Thai spicy salad. Happy cooking 🙋🏽.